You want to get your wedding hair spot on for the big day. 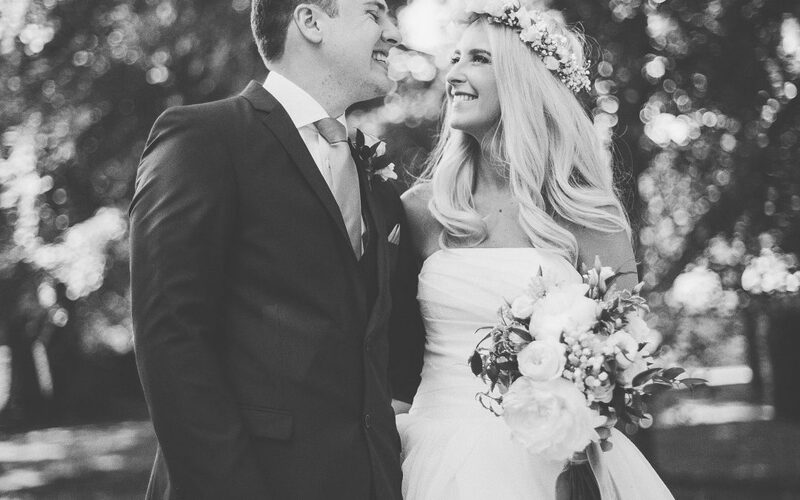 Choosing your wedding hair is exciting – you can look through instagram to give yourself ideas and if you do not have enough hair yourself, the brilliant invention of hair extensions means that you are able to emanate the likes of movie stars. I specialise in Wedding hair for Buckinghamshire and the surrounding areas. I find that whether you are having your hair up or down, most of my brides love that really soft look which is on trend right now and gone are the days of tight curls and huge quiffs. Bridal hair that is over lacquered and does not represent you is less requested. Brides want to look like a beautiful version of themselves and having softer looking locks does this perfectly whether in a stand out wedding hair style or just loosely down. Wedding hair can be secure and still look relaxed. It will not come out if it has been secured correctly and your professional wedding hair stylist will make sure of that for you. You should feel you can party at your Buckinghamshire wedding well on into the night with your wedding hair staying put. After all, wedding hair should be an addition and not a hindrance to you on your wedding day.